It seems like hardly a week passes without some pearl-clutching thinkpiece bemoaning how social media is destroying meaningful human interaction. People are looking at their screens instead of making eye contact. We aren’t using our mouths to talk to each other. Instead of telling each other how we feel in detail, we click the “like” button to express approval. 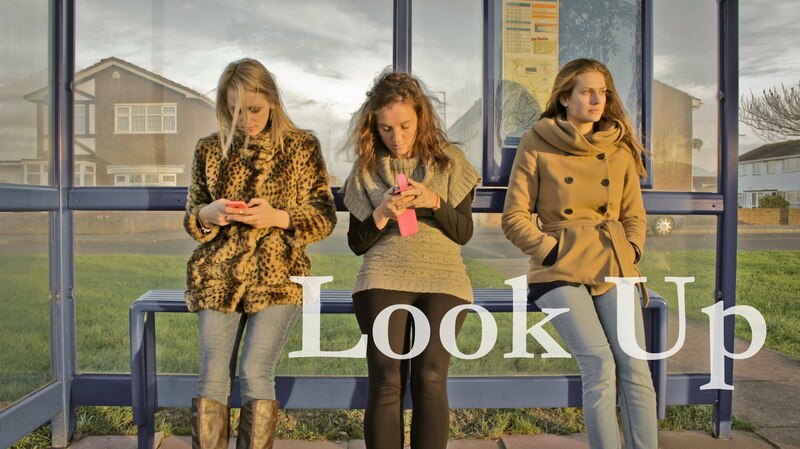 We sit next to each other in cafes and don’t look up. This phenomenon has been described as the end of intimacy. However, it’s the exact opposite. As an Autistic person, I’ve never felt more understood or free. I’ve always felt more comfortable communicating in text. In high school, I had a lot of difficulty making friends. I was bullied. I’d happily expound on my favorite topics and was confused when the response from my peers was less than favorable. This is a pretty common experience for Autistic teens in mainstream settings. The advent of instant messaging allowed me to connect with people in ways I was less afraid of missing something important. I didn’t have to smile. Message boards allowed me to meet other people who shared my interests with the same joy and intensity I felt. I could talk about Star Trek with someone halfway across the world at any time of day or night, while most of the people around me could care less. I made lasting friendships with people I still speak to regularly, even a decade later. Suddenly, I was less alone. Social media and smartphones are just a form of augmentative and alternative communication (AAC). Clicking the “like” button on Facebook is no different than clicking the “like” button on a speech generation device. The different is how many people can hear what you have to say. People who were previously isolated because of mobility or speech issues can find friends with shared experiences and interests. They get to be less alone. People who oppose the use of screens aren’t trying to silence disabled people. The problem is that they aren’t thinking about us at all. When confronted with what smartphones can do for disabled people, anti-screen folks will claim that they are not talking about us. The thing is, when they look at a café and see people using their phones, there is no way to distinguish between the people who use phones as disability aids and people who just happen to find speaking through social media a perfectly adequate or even preferable mode of communication. A false hierarchy is formed, and of course, the ways some disabled people speak is at the bottom of it. I agree I love my smartphone it made commutation lots easier and fun and I learn lots of thing about lots of topics. The Internet and social media done a lot for autistic community and so many other disabled communties. Thank you for this article. This helps my 4 year old son’s future of being accepted instead of vilified. Yes, more people need to speak-up about this. My phone provides an ability to communicate and socialize in general, but in public it also acts as a socially acceptable alternative to stimming and it’s a coping method when with other people. To be very clear: this is an accessibility issue, without being able to check my phone I would not be able to cope with being in public places – I should not have to fear people judging me, making comments to me, or preventing me from using my smartphone in this way. Both my partner and I are Autistic, we get funny looks and even had people laughing at us once because we spend time together in public on our smartphones – we talk to each other too of course, we acknowledge each other, but we don’t require 24/7 attention from each other. A recent study on “phubbing” or “partner phone snubbing” suggests that smartphone use like this ruins relationships, that this is due to anxiety and insecurity at a partner paying less attention to them while on their smartphone, my experience suggests Autistic folk are less likely to suffer this way. Seconding this – I am autistic and have BPD, am physically disabled – between being overloaded, having difficulty regulating my emotions, and occasionally being in severe pain, having the safe refuge of my phone is a LIFESAVER sometimes. I can be on tumblr distracting myself with stupid jokes, or texting a friend who will send me pictures of cute animals, or playing a game that requires just enough attention that it keeps me from focusing on my surroundings. And my wife and I will sit together half talking out loud and half communicating by giggling and showing our phones to each other. We can text each other if we’re in a situation where we are becoming uncomfortable or overwhelmed but can’t leave, to support each other and commiserate until we can escape. And hell, branching out to different screens, we will sit next to each other in the living room chatting over google hangouts sometimes, because text is easier than speaking. Most of our serious relationship conversations are over IM or email, because she has OCD and severe anxiety and I am autistic, and it’s just EASIER for us to express ourselves clearly and respectfully over text. 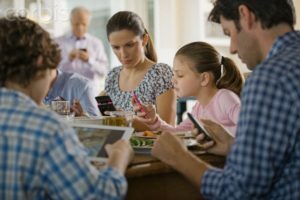 The idea that being on our phones or computers regularly will damage our relationship with each other is laughable, literally, because if it weren’t for the ability to have “silent” conversations, we wouldn’t have made it to our 10th anniversary this summer. I’m not autistic, but through social media and links from Facebook friends I have come to a deeper understanding of my fellow human beings, including those on the spectrum. I am better informed about a great many issues and enjoy sharing on a more profound level with acquaintances and family members alike. I have never felt any positive resonance with the sentiment in the photo above. If I were one of the women at that bus stop, I sincerely doubt that I would be engaged in meaningful conversation with any of the other women. Even with my device in hand I could smile or make a comment, “Chilly today, isn’t it?” If I felt like it, and without my device I am highly unlikely to be doing or saying more than that. Meanwhile I can be sending a note of encouragement to a friend in need, connecting about work, wishing Happy Birthday to someone on her special day that I may not have time for once I arrive at my destination. I may be catching up with news, reading an article that may influence how I vote, having my own spirits lifted by the heart-warming or goofy posts of others. I can be participating in a larger community than just the few strangers cast together because we want to board the same bus. I do hug my loved ones and admire the sunset. Besides, I find it disingenuous for someone to be using a prefabricated meme on a social network site to smear people on SNSs for lacking the human touch. I am glad that autistic people and others who are isolated in one way or another have been able to connect through these media. More power to you! I love your mention of how you probably wouldn’t be having meaningful conversations with your fellow bus-riders waiting for the bus, but how, with your phone, you can both vocally say whatever you’d say regardless, AND be involved in other people’s lives or improving your own life. I used to rely on the bus and i didn’t always have a phone, or sometimes it was just too cold to take off my glove to use it. I didn’t talk with anybody any more than I would have if I could’ve used my phone. I couldn’t agree more. To me and mine, tech has expanded our horizons, educated me and afforded me fantastic friendship and support. I wouldn’t be accessing a quarter of what I do without tech items. Well said. I have a speech disability and my husband has some issues with interacting with people. We met on an online dating site and for both of us, we could share a lot about ourselves before meeting. He can explore his interests, that I don’t share, with people around the world in a way that makes him less anxious. And for some issues, we talk it out online first because he mentally shuts down and I can’t speak during really stressful moments. Before you criticize someone’s spelling, you might want to examine your own words. They are rife with plenty of spelling, grammar, and punctuation errors. Social media is the real world. That’s the point of the article. Using a screen to communicate is no different than doing it in person, and for some disabled people, allows them to more effectively communicate than they would be able to in person. “People spend way do [sic] much time of there [sic] devices” is a value judgement. You place in-person interaction above interaction facilitated by technology, which, as the author says, is exactly the problem. 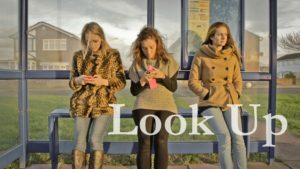 And the general problem of denigration of virtual communities and the technology we access them with doesn’t just impact on those of us who use them in public, it also impacts on those of us who can’t always, or ever, get out of the house, and for whom almost all communication is virtual. I’ve spent the day catching up with friends, without ever making it downstairs, never mind out of the house, and just because those friendships happen across the net doesn’t make them any less valid, or less vital. I’m in my late 50s. Using telephones has always been difficult for me. My family is spread across North America. Before the Internet came into widespread use, I communicated with them by writing letters. I also spent lots of time reading, sewing and going for long, solitary walks. The Internet and e-mail – I’m not a mobile device user – have made it possible for me to communicate with my family more easily *and* to meet many more people with whom I share common interests. I interact with others a lot more than I used to pre-Internet! But I still try to make time for getting outdoors and walking and for reading real, live books. I spend less time sewing than I used to. Thanks for writing this and for the people who have contributed with their experiences. I must admit, I am someone who is guilty of being anti-screen. It has been interesting to hear this perspective and I will need to think on it more. I do definitely agree though that most mainstream discourse on this issue does not consider the positive ways that technology has helped improve social accessability for many people with disabilities. THANK YOU, Sara. I’ve been fighting this battle in forums for weeks, wondering how it is no one seems recognize how ableist this argument is! It’s maddening! Another thank you. Although my actual disability (depression) does not keep me from communicating, this and a variety of other isolating factors meant that the advent of the Internet was a boon and the wave of people decrying the “zombies” glued to their screens was just another way of being made to feel like I wasn’t “normal.” Reading this was realizing there are whole communities of disabled and isolated people who feel like I do and are sick of this hand wringing. Yes. This. I am a profoundly hard of hearing (ie nearly deaf) woman, and the advent of a world where it is normal to communicate in text changed my life. I do still speak to people in person, go outside, hug my wife, etc etc (and truly, I think very few people ONLY ever stare at their screens, but asking me to give up social media is asking me to give up my friends. Especially it’s asking me to give up being able to have in-depth conversations that involve complicated emotions, ideas, and words. The kind of thing that would leave me lonely and cut off if I didn’t have it. Sure, there’s cat pictures too, but I think the occasional cat pic is good for the soul anyhow. So, yes, add the D/deaf community as another group of people who are able to get more of what they need and be made to feel less weird, because of the Internet and smartphones and social media. I’m not disabled and still feel that this article resonates with me. I am very introverted. I am perfectly capable of functioning appropriately in social situations and actually have a job where I spend most of my day talking to others, but the truth is that I prefer interacting via texting and social media. It gives me a chance to clarify my thoughts and if I am done being social, I can just turn off the screen. It amuses me that people will see me texting or emailing on my phone and screech about how I’m avoiding social interaction. A conversation through the Internet is still a conversation, and for many people that’s a preferable or at least acceptable alternative to face-to-face interaction. 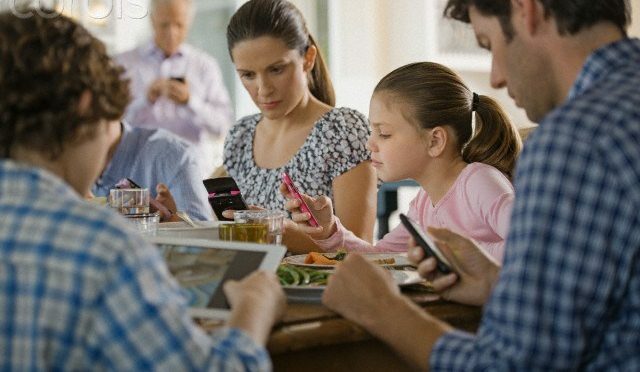 The idea that society is losing touch with ~reality~ or ~each other~ because of phones and computers and tablets is just ridiculous. I’m poor, I have hearing and audio-processing issues and thus struggle to converse on the phone, and have arthritis that cramps my hand if I write for more than a couple of minutes. Because of smartphones and computers, I’m able to keep up with friends who live across the country or around the world from me – something i wouldn’t be able to do if i had to rely on calling landlines and writing letters. Not to mention that forming friendships with people around the world has VASTLY expanded my horizons, in a way that making friends with the locals and ONLY the locals wouldn’t. Not everyone lives in a diverse place, or a place where they can connect meaningfully with anyone around them. People in small towns, or who are unable to work, or who work with people they don’t get along with… it’s hard to find friends if you have such a limited pool of people to choose from, especially if you happen to have significantly different opinions and stances from them. So, by being on my phone, I might actively be engaging in my vibrant social life… you just can’t see all my friends! I agree a hundred percent that the Internet is awesome is a lot of respects. I also feel I can better communicate via text (if only interviews happened via email. :/). I’ve been reading Sherry Turkle’s work though because something about social media has left me empty. In a recent interview regarding her new book she says that connection (i.e., being connected digitally not emotionally) isn’t what NTs are looking for, it’s conversation. I think this applies to me too. I don’t know if it’s because I currently only really have my parents to talk in person or if I just happened to have lost the interest of my peers. Or I don’t know where to find digital conversation. It doesn’t really matter if it’s via email, messenger, text or in person, I don’t feel like my friends and I are talking to each other anymore. Not with much depth. Not with any consistency. Though I need recoop time this is something I need as aspie though. I mean I def sit for long periods of time on my own but I also need conversation. And real conversation. Not small talk. So for me the digital space isn’t cutting it. Maybe I need to find the right people.